Children always have questions about what it means to be a Christian. Do they need a long philosophical answer? Not always and it is simple answers to deep questions that feature in this book. 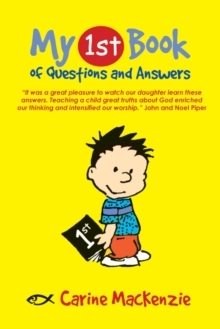 If you have ever wanted to know how to explain the Christian faith to young children in bite-sized chunks then the 114 profound questions and answers, backed by scripture proofs provide an invaluable tool to get you started.